Jim Cathcart, CSP, CPAE is the original author and champion of “Relationship Selling.” This set of international best selling books, training videos and other learning materials has been translated into multiple languages around the world. Mr. Cathcart is the author of 18 books and past president of the National Speakers Association. Among professional speakers he has received virtually every possible award and certification. This includes the Cavett Award, Golden Gavel award, Speaker Hall of Fame, Sales & Marketing Hall of Fame and Legends of Speaking award. 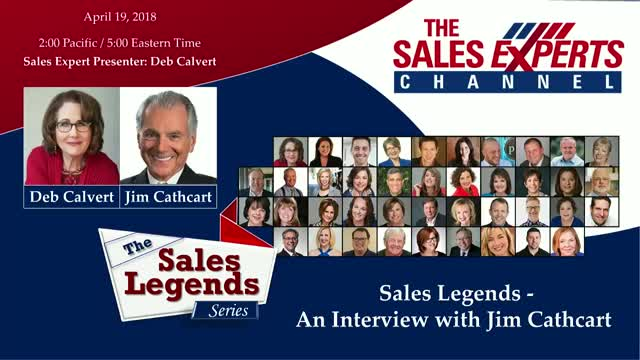 Jim Cathcart’s major contribution to the sales profession has been the popularization of treating relationships as assets and encouraging the advancement of ethical sales behavior and sales systems. His model of “The Eight Competencies of Top Sales Producers” helps isolate the many skills required for sales success and simplifies the training process. He has delivered over 3,100 presentations around the world to audiences as large as 13,000. His recent TEDx video has received over 1.25 million views placing it in the top 1% out of over 100,000 TED videos.